Harry George Percy Garnet Man was born on 10 April 1874 at Jounpore in the Presidency of Bengal, India, the son of George Octavius and Mary (Bradford) Man. 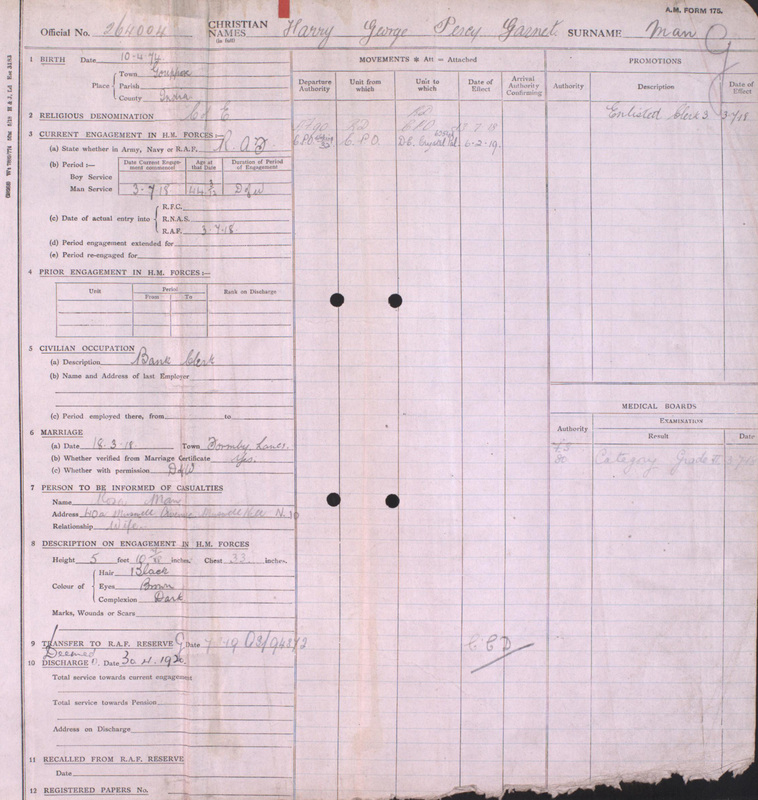 During World War One or perhaps soon after he must have joined the RAF reserve in some capacity as the form below indicates. He was then discharged from the RAF in 1920. 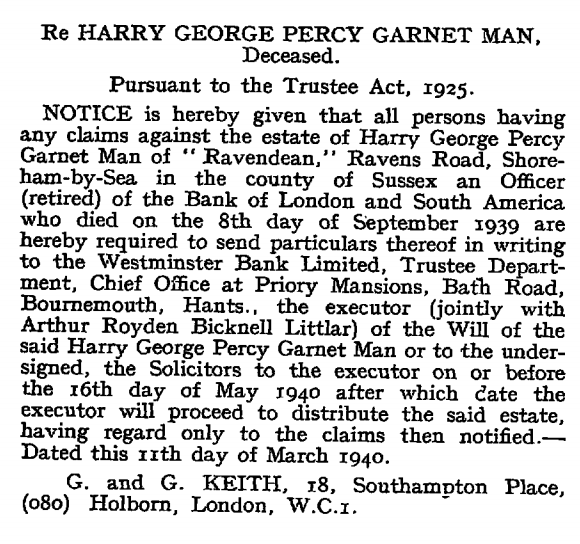 Harry died on 8 September 1939 at Ravendean, Ravens Road, Shoreham in Sussex. Percy belongs to Man Generation Nine.